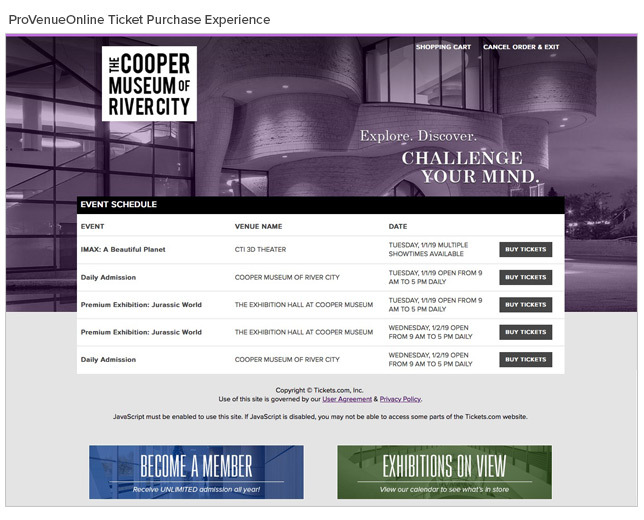 This month, we’re highlighting the importance of creating a smooth and seamless transition between your website and the ticket purchase portion of your website. We strive to provide a natural extension to your website’s current look and feel because optimizing your patron experience means maximizing your revenue. 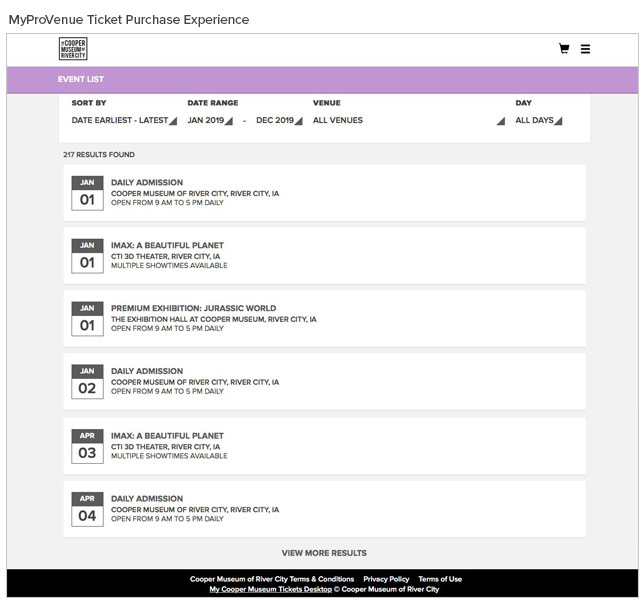 ProVenueOnline™ is our robust ticketing platform that allows your patron to not only purchase a ticket online but also allows you to provide more complex features to your patrons, such as selecting seats from an interactive venue map, renewing a season package, and forwarding tickets to friends. 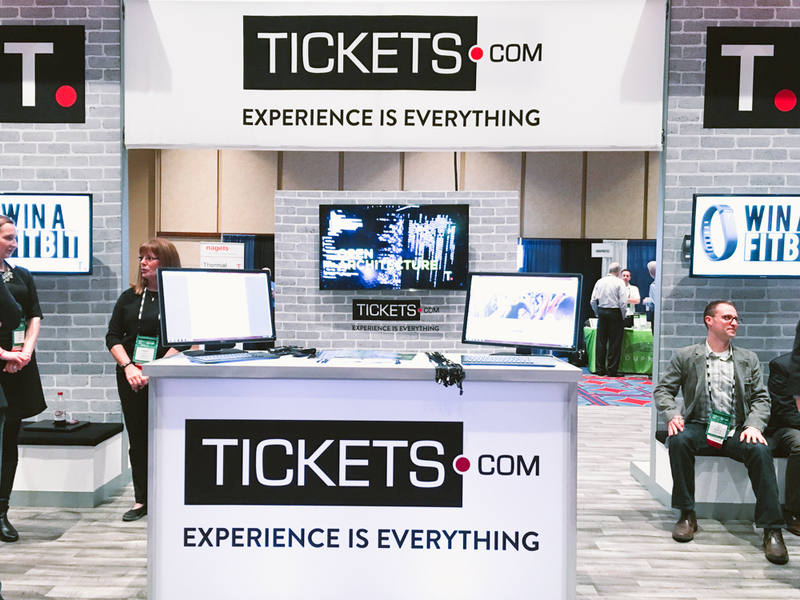 Both Tickets.com products are customizable to match the look and branding of your venue. Our products are constantly evolving, so continue to check back with your client representative for updates and newly customizable options. When your patron enters the ticket purchase portion of your website, we want them to be fully aware that they are buying a ticket from your venue and no one else. One of the most important tips is to ensure that your logo is the same on all of your webpages. Space on MyProVenue may be an issue, so we suggest using modifications or just icon imagery as a shorthand for your logo. 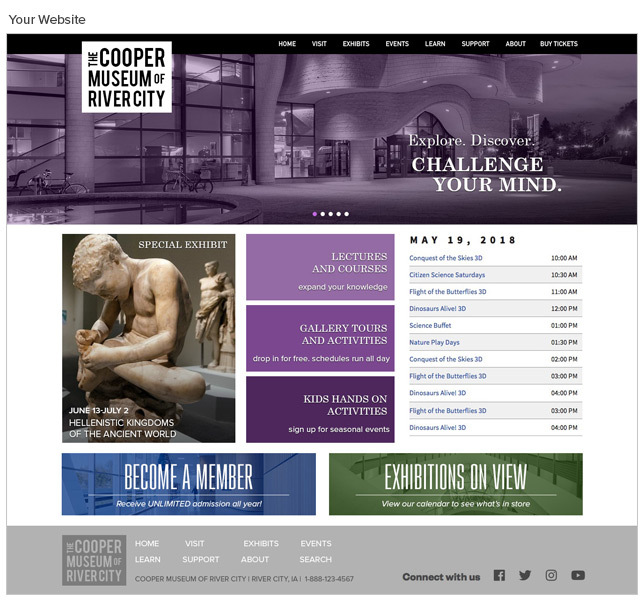 Take a look at your current website and note the header, background and text colors you use. 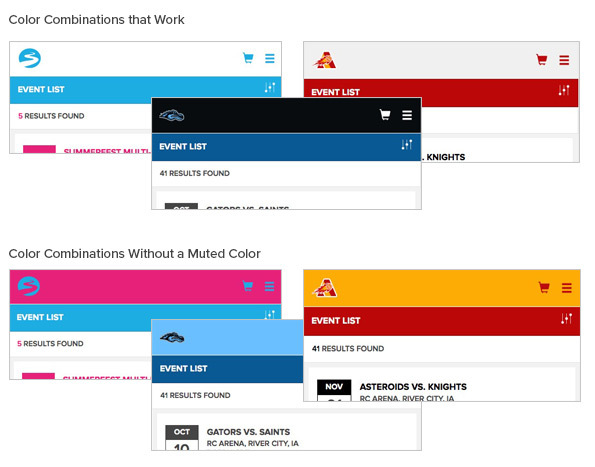 We can easily match your colors in ProVenueOnline and MyProVenue to create a tight, cohesive look. A common mistake is using too many colors, which could work against a clean design. We suggest using a main color paired with a more neutral color such as grey, black or white. MyProVenue header backgrounds in neutral colors help your logo stand out. We’re happy to assist you with your color scheme. Contact your client representative for more information. 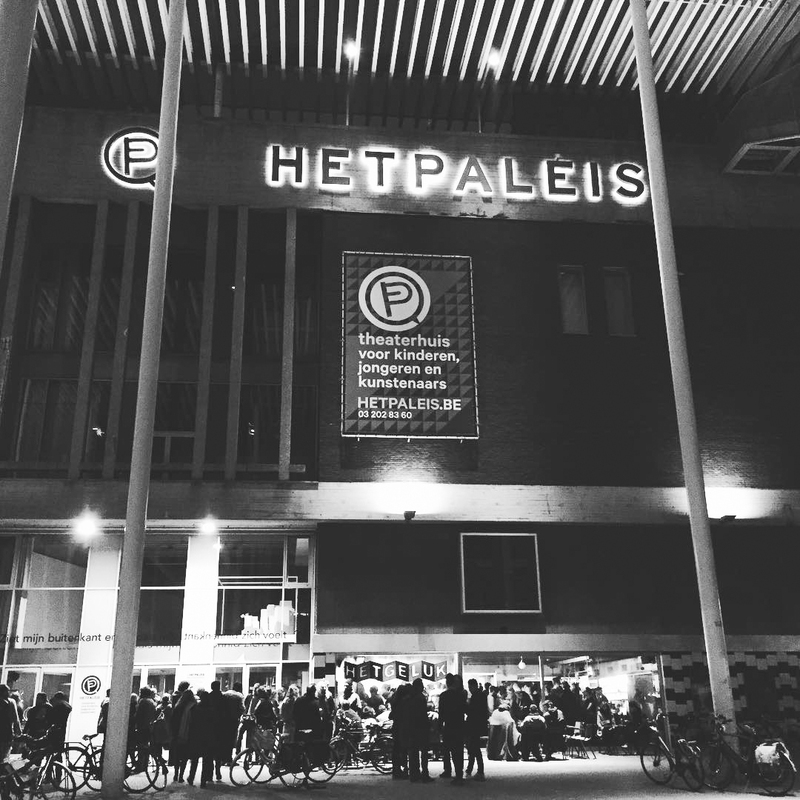 Photos of your venue or events make a powerful impression. We ’re happy to use them for background images or banner images on the ticket purchase portion of your website. Photos can help your patrons easily identify an event or venue of interest and streamline the decision to purchase. Similarly, if your main venue website uses ads for events, we can place them throughout ProVenueOnline for cross-sell potential. (Keep an eye out for this functionality coming soon to MyProVenue as well.) And while we’re on this topic, be sure to have images picked out for all your events. If you do not have an image that is specific to an event, using a generic or multi-purpose image is a great alternative. Both ProVenueOnline and MyProVenue allow you to include ‘view from section’ images for your patrons. 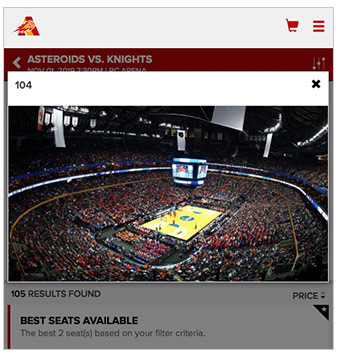 We encourage you to use this capability as these images provide your patrons with an excellent tool for finding the right seats and provide you with a great way to show off your venue. 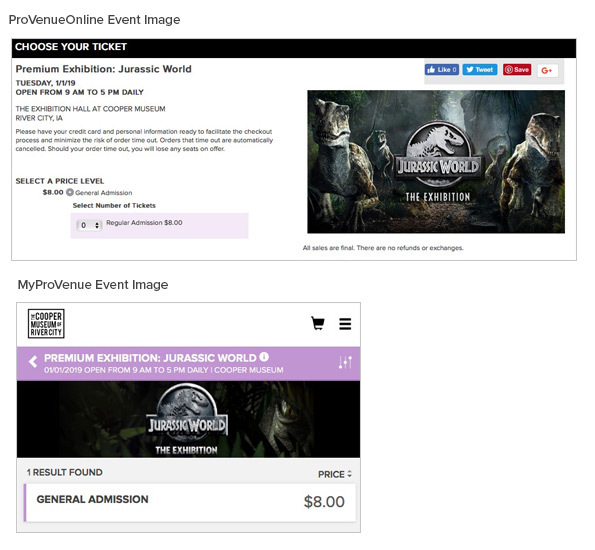 We’re consistently updating our ProVenueOnline and MyProVenue styles to improve your patron’s experience when buying tickets or managing their ticket inventory. Speak with your client rep to learn more about the benefits of updating your CSS for the latest styles.